Although most European countries are inherently iodine deficient, IDD prevention programmes have not been universally introduced; and, where established, methods vary considerably. Thus up to 350 million European citizens are exposed to IDD, with tremendous, preventable costs in the health care systems. 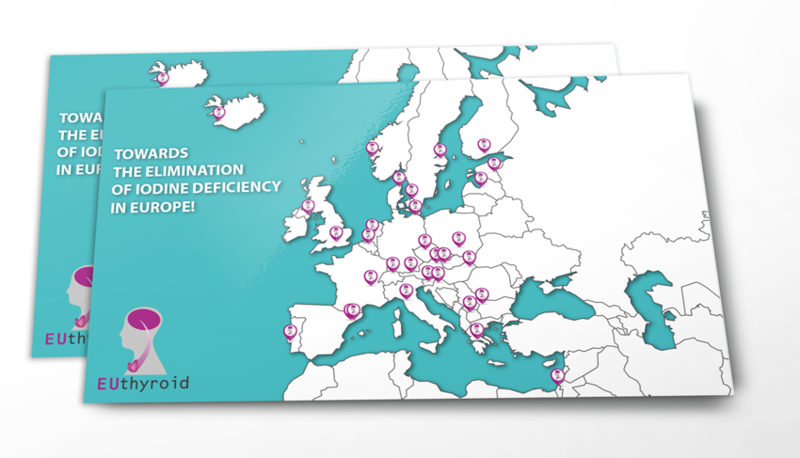 Globally, Europe is one of the worst regions in terms of access to iodised salt, and a considerable proportion of Europeans live with iodine deficiency due to significant heterogeneity in prevention and monitoring programs. Inappropriate interventions, increased disease burden, health inequalities and increased health-care costs are common despite the fact that IDD can easily be prevented by iodine fortification of table salt, industrial salt and cattle food. In most countries fortification is done with iodide, but some countries prefer iodate, the recommended fortification levels differ, iodisation of cattle food and salt may be universal or limited to table salt, and fortification programmes may be voluntary or mandatory. Consequently, the coverage of iodised household salt varies tremendously e.g. from 80% in Switzerland to 5% in the UK. The great heterogeneity in national regulations poses challenges to large European food companies and has resulted in a decreasing proportion of food fortified with iodine. According to the WHO an effective European monitoring programme is a crucial step towards eradication of IDD with significant benefits for European citizens and the sustainability of health-care systems. One of the major goals of EUthyroid is to evaluate, for the first time, existing European IDD prevention programmes with respect to thyroid-related diseases, treatment and costs in the European population. Cost-effectiveness analyses will not only include potential benefits of IDD prevention (reduction in the incidence of IDD and its treatment costs), but will also consider potential effects on neurocognitive function in populations, the putative harm of iodisation (increased incidence of hypothyroidism and its treatments) and the need for monitoring programmes. A special focus will be placed on health outcomes, quality-of-life, avoidance of health equalities and cost-effectiveness both at the national level and across Europe. Inducing benchmark processes to improve IDD prevention across Europe and beyond.